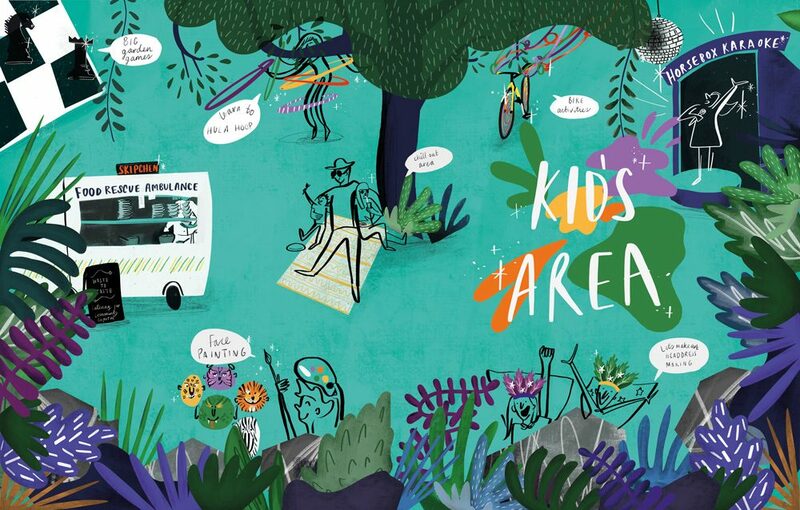 Commissioned Kids Area Illustration for pre-programme. 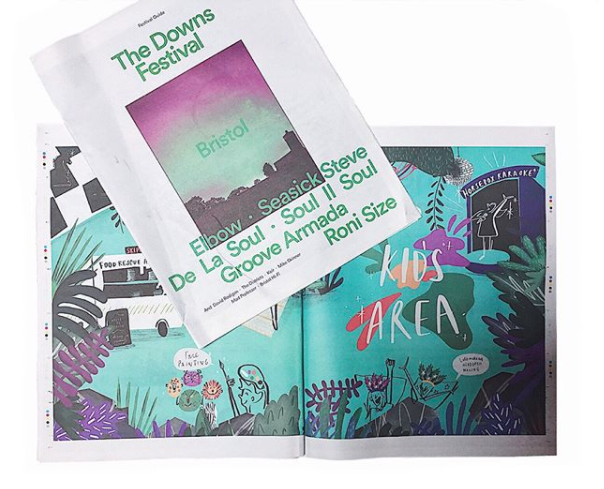 I was asked by The Downs festival in Bristol to create a double page illustration to advertise the Kids Area for the 2017 festival. It was used across social media and printed in their pre-festival programme which had a circulation of 15k.